[PDF] Mood and Anxiety Disorders in Women | Free eBooks Download - EBOOKEE! 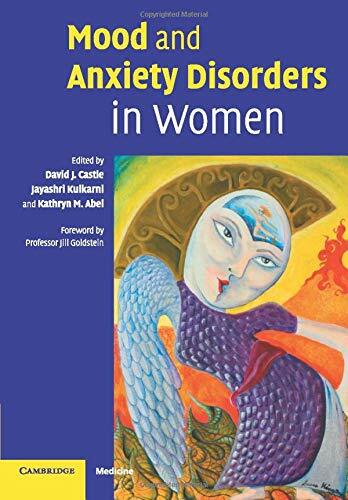 Description: Mood and anxiety disorders in women represent an increasingly important area of research and treatment development. The authors take a broad biopsychosocial and developmental approach to the issues, beginning with anxiety disorders in adolescence and progressing through the life phases of women to menopause and old age. All the disorders are covered, from anxiety and borderline personality disorder to stress and late-life depression. Particular attention is paid to questions of vulnerability epidemiological and clinical evidence showing gender differences in such disorders aetiological explanations in terms of biological (including hormonal) as well as psychosocial parameters, and treatment implications. No comments for "[PDF] Mood and Anxiety Disorders in Women".